‘Selective target treatment’ seems to be gaining ground in areas where sheep and goats are mostly run on dry veld, says Roelof Bezuidenhout. Dosing Angora goats. Avoid giving too little of the remedy. 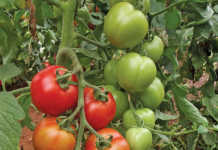 This can lead to some of the parasites surviving and increases their chances of developing resistance to the remedy. A mohair producer should treat his flock for internal parasites only two or three times a year. Doing it more often can cause harm. This is the advice contained in the mohair industry’s guidelines for sustainable farming. Today, it is accepted that every flock has individual animals that can do well even with a parasite load in their intestines. So, the focus should be on treating only those animals that really need treatment rather than treating the entire flock. This is known as ‘selective target treatment’. 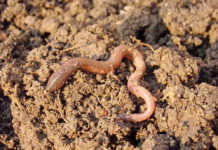 A farmer can decide which animals to treat by doing dung worm egg counts, by clinical evaluation for anaemia (the FAMACHA eye test), or simply by looking at the body condition of the animals. Any of these methods will identify animals that are more susceptible to parasites, especially the dangerous wire worm (Haemonchus contortus). Be extra careful with goats; their metabolism differs from that of other livestock. Generally, goats need twice as much of a worm remedy on a live-weight basis than sheep or cattle. Rotate different groups of active compounds annually and not treatment by treatment. The more regularly the remedy is changed, the greater the risk of the parasites becoming resistant to all groups of active ingredients. Resistance can be measured by carrying out a worm egg count reduction test 14 days after treatment. While regular dung analysis does not tell you when to dose, it does indicate how infested your veld is. And it’s important to know the level of parasite larvae in that grazing. Dung egg counts can also show how effective the various worm remedies are. If a remedy is working well, the egg count should drop to zero and remain low for at least a few weeks. 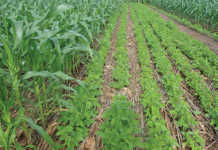 Using clean, safe veld will help to control parasites, especially when refugia that have not been exposed to worm remedies are present in the veld and in any untreated animals. Refugia have been proven to slow down the development of anthelmintic resistance by maintaining an anthelmintic-susceptible worm population on the veld or pasture. To increase the refugia on a farm, make sure that a section of the flock is not dewormed. This should help decrease any resistance to dosing. Veld or pasture that has first been utilised by cattle or horses is also safe because cattle and horses do not share parasite species with goats. Keep in mind that rotational grazing does not generally control parasites unless the rest period is 70 days or longer. Goats that take in a lot of browse seldom have parasite problems because larvae occur mainly on the lower level of grazing plants. 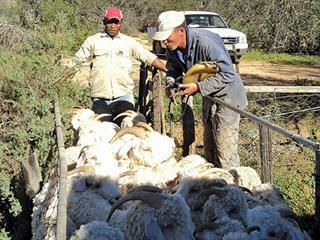 Source: ‘Sustainable mohair production guidelines’, Mohair South Africa.